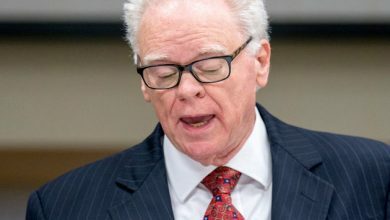 A joint statement issued Monday (March 13) evening by Moore, who leads the Southern Baptist Convention’s public policy arm, and Frank Page, the president of the denomination’s Executive Committee, said that afternoon’s two-hour meeting deepened their friendship and understanding on how to move the denomination forward. “We fully support one another and look forward to working together on behalf of Southern Baptists in the years to come. We will collaborate on developing future steps to deepen connections with all Southern Baptists as we work together to advance the great commission of our lord Jesus Christ,” the statement read. The pair “met as colleagues committed to the same priorities of proclaiming the gospel” to everyone, the statement said. They also talked about addressing biblical and gospel issues, including religious liberty, racial reconciliation and the sanctity of human life. News of the expected meeting between the two men was first reported Monday morning by the Washington Post. The newspaper reported that Page said he hoped for reconciliation between Moore and those who oppose him, but had not ruled out asking for Moore’s resignation if the meeting did not go well. Moore’s employment status is not up to Page. In the aftermath of Trump’s victory, backlash from prominent Southern Baptist leaders raised questions about whether Moore’s job was at risk. Moore, the face of the Nashville-based denomination, became a consistent critic of Trump and his supporters during the divisive 2016 election cycle. Monday’s meeting did not focus on Moore’s resignation nor the future of his job as the president of the Ethics and Religious Liberty Commission, Roger “Sing” Oldham, the spokesman for the Executive Committee, said in an email. The commission has offices in Nashville and Washington, D.C.
Moore told RNS in an interview in late January that he was confident he would be able to remain in his post. 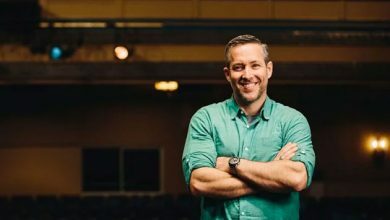 Several Southern Baptist churches across the country have pulled or threatened to withhold their contributions to the denomination’s Cooperative Program, the Southern Baptist Convention’s funding mechanism for state and national initiatives. Recently, the Executive Committee decided to study how many churches are escrowing their gifts to the fund and why they’re doing it, Oldham said. 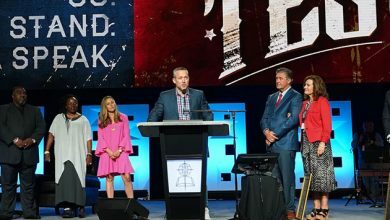 Last month Pastor Jack Graham, a former president of the Southern Baptist Convention, told the Baptist Message in Louisiana that his Texas church was escrowing $1 million in Cooperative Program funds out of concerns for the direction of the denomination. In a December Wall Street Journal article, Graham said Moore’s remarks came with a “disrespectfulness” toward other evangelicals. During the 2016 election season, Moore called out Trump’s moral fitness and questioned his conservative Christian supporters in a number of editorials and interviews, and even sparred with Trump on Twitter. Moore took on parts of Trump’s platform, including immigration policies and his campaign rhetoric against Muslims. In late December, Moore addressed the denominational division in his “Election Year Thoughts at Christmastime” blog post, and apologized to anyone who thought his critiques of Trump meant he was criticizing anyone who voted for Trump. Barry Hankins, a history professor at Baylor University, sees the crux of this recent tension as two views on how Southern Baptists should engage politically coming to a head. Hankins, who co-authored “Baptists in America: A History,” said it speaks in part to a generational divide among Southern Baptists. One camp believes that tightly aligning with the Republican Party will help them achieve two key issue goals — stopping abortion and upholding traditional marriage — and calling out the GOP for other issues jeopardizes that mission, Hankins said. 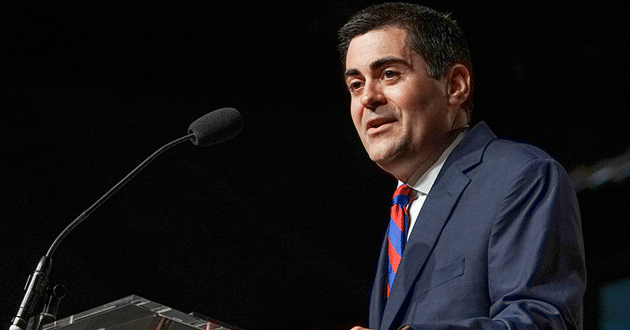 “If he can’t speak biblically on issues when his position doesn’t line up with the Republican Party, what does that say about the status of the Southern Baptist Convention?” Hankins said.